Posted July 17th, 2018 by Burn Right & filed under News. Four of the UK’s top chimney sweeping organisations met with Government officials today (Tuesday) to pledge their support for cleaner air. 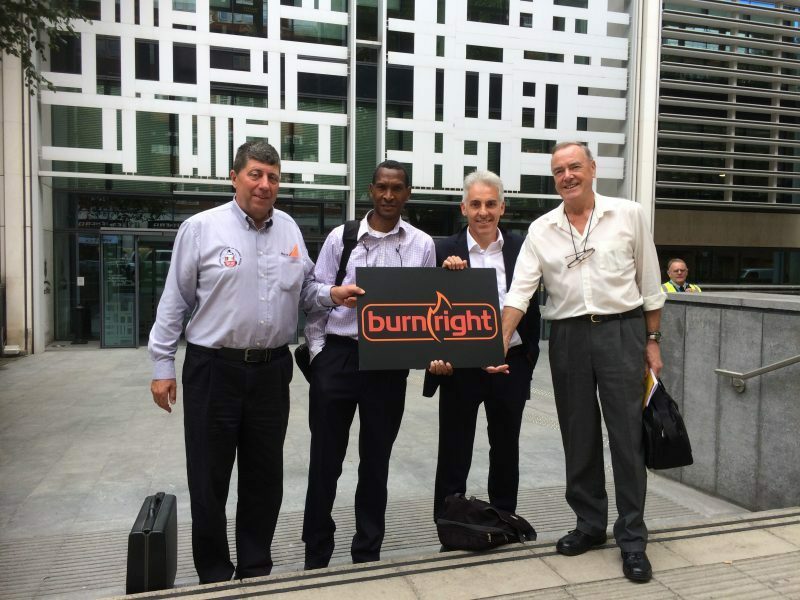 For the first time ever, the heads of the Association of Professional, Independent Chimney Sweeps (APICS), the Guild of Master Chimney Sweeps, the Institute of Chimney Sweeps (ICS) and the National Association of Chimney Sweeps (NACS) met and pledged their support for the Burnright campaign. The meeting was held at the Department for Environment, Food & Rural Affairs (DEFRA) in Westminster. Among the topics discussed was how chimney sweeps can help drive down the amount of emissions from domestic burning and the role of the Burnright campaign. “This is a historic day – the first time ever that the heads of APICS, the Guild, ICS and NACS have sat down in the same room not only together, but with high-ranking officials from DEFRA to discuss an issue of great importance to us all. “Collectively, our organisations represent the vast majority of registered chimney sweeps in the UK, and we are pleased that DEFRA recognise that sweeps have a vital role to play in helping to reduce emissions from domestic fireplaces. This is the first time a government has acknowledged the importance of sweeps in this way. “The reason is simple; our members see thousands and thousands of chimneys a year. They know the customers, the appliances, the fuels used and the issues surrounding them. Sweeps are uniquely positioned to influence consumer burning habits, and are already actively engaged in the Burnright campaign. Thousands of Burnright leaflets and publications have been sent out, and the reception from consumers has been encouraging. This will only rise as the burning season gets underway once again. “Getting your chimney swept regularly by a registered, professional chimney sweep not only reduces the risk of a chimney fire, but it can reveal faults which need rectifying and also provide an opportunity to receive good, impartial advice on how to get the best out of your appliance.